You Are The Roots: carmen's heart. On a whim a little over two weeks ago, we learned that Carmen had some very mild issues with her heart. I want to preface this post by saying that I am grateful for how minor her issues were and how fortunate we are to know that surgical intervention is highly unlikely. However, I am a mother who found out -- on a whim, nonetheless -- that her deceased child was dealt a fatal set of congenital heart defects and there is something to be said about such a trigger. Even knowing what I know now, I can still feel the twisting, suffocating ache of feeling like your grip on your beloved baby is coming loose. Ethan had a sore throat, which is how it all started. He was miserable. I brought him in for a precautionary check-up to rule out strep and any other such yuckiness as a precaution since we had a newborn at home. We were to see a newer pediatrician who we don't see often, but who was young and fresh and kind and fun. For some reason, Ethan -- who typically begs for throat cultures because he's an odd duck that way -- decided in that minute he did not want one. Cue screaming. Cue stress. Cue me just wanting to grab my children and leave. Still, I asked the patient pediatrician if she would mind looking over Carmen as a precaution. My neurosis knows no bounds, thanks in part to that time in May 2014 when I arrogantly plopped my pregnant self down on an exam table with annoyance only to learn my baby was going to die. It has taken me some time to even be able to watch when they listen to Ethan's heart on normal check-ups. The dread and fear in my stomach prompts me to believe they're going to tell me I'm going to lose him. The same fear and dread carried over into Carmen. My eyes dodged in the opposite direction as the doctor listened to Carmen's heart. She was listening to her heart for quite some time, but I blamed that on Ethan whining and yelling in the corner of the room. "I hear an irregularity," she said gently, knowing nothing of our past or of Wylie's brief existence -- and then I lost my mind. I lost my mind because here we were again. I don't even remember what happened next. Ethan was escorted to the front desk to color, Carmen was safe in the arms of a nurse and somehow my mom and husband were making their way to the pediatrician's office to meet me so we could walk over to the adjacent cardiologist's office. The doctor we saw when Wylie was first diagnosed. The doctor who had the unfortunate disservice of breaking to us the worst imaginable news. The initial exam was horrific. I was barely functioning. "I'm sure it's fine," my mom urged me and I didn't want to -- I couldn't -- hear it. It was all anyone regurgitated to me the first time when things were, in fact, not fine. I noticed the exam taking forever, with Carmen sat atop the same table I sat on for my fetal echocardiograms with Wylie. "I found something," he said, and that was all it took. I don't even remember the rest of the day. I don't even really remember the few days following that day. Carmen had three very minor and common congenital heart defects. She would not die, the doctor assured me. Not even close. She likely wouldn't even need surgery. They would likely all heal on their own, or at least enough to avoid surgery. It was good news and, yet, it wasn't. I simply wanted to hurl myself on the floor, kicking and screaming about how unfair it was as all of my friends with healthy, easy to conceive and come by children tried to comfort me with reminders of what great news this all was. The bitterness stung at my throat. I worried that she would die in her sleep. The doctor assured me there wasn't a chance of that. I worried about the car being too hot, too cold, the music too loud, the bumps in the road to hard. We saw Carmen's cardiologist for her check up and he was amazed -- smiling with joy -- that her heart has healed a lot faster than he believed it could. Her heart was looking fantastic and we are to return in a month to hopefully hear that it's all an issue of the past. While it's hard to consider the painful trigger and flashback and unfortunate scenario good luck as many want me to, I am grateful for the mild issues they wound up being and the progress her heart has made on it's own. I won't lie and say something to insinuate my worry is gone. I won't lie and say that I won't be up vomiting with anxiety before her check up in June or any routine visit thereafter. I won't lie and say that my bitterness has been erased completely. For two days, Ethan would ask me at all hours of the night if Carmen was going to die and that alone speaks volumes about the path we've walked and the heavy burden we all carry. The hard-pressed optimist in me knows that our strength is greater because of it and that we can lift Carmen through whatever she needs, even if that winds up being surgery (which it very much likely won't be). 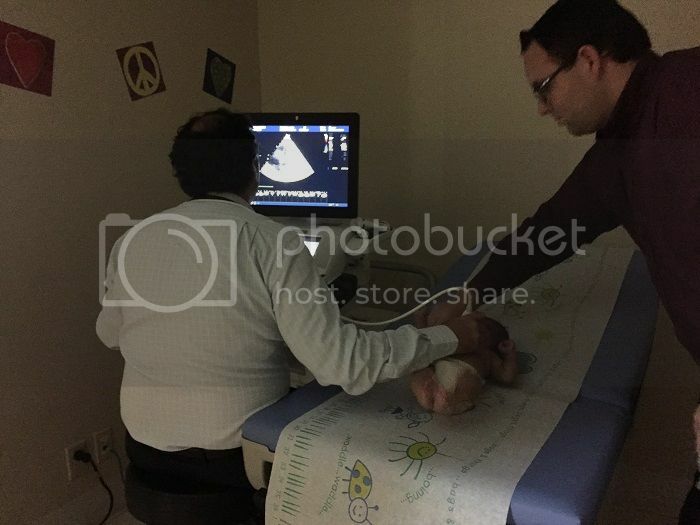 We are probably out of the woods, but we still have to waltz ourselves back into the cardiologist's office to confirm or deny this and I'm unable to put into words what that feels like, having been through what we went through. I could live forever without having to step inside a cardiologist's office again waiting for news on my children's hearts, even if statistically speaking we're going to be receiving good news. It's all very confusing at best. Get cut into rags for industrial use, and 20 percent is processed into a soft fiber filling for furniture, home insulation, car sound proofing and more. Recyclers find clothes that are wet, moldy or contaminated, they send them to landfills, Walsh said. The amount they send is small just five percent of all donations but it all adds up to the ridiculous amount of clothing waste in landfills nationwide..
Washington wants North Korea to get markiplier shirts rid family t shirts of its nuclear weapons program and allow outside experts to verify valentines day shirts it has been abolished. North Korea insists on guarantees that Kim's regime would remain in power if it abandoned its nuclear program. Military role in South Korea or an end to the American nuclear "umbrella" over South Korea and Japan.